Beattie Well Tank 2-4-0WT 30585 stands in the loco yard at Ludborough, on the Lincolnshire Wolds Railway on 19 April 2014, prior to working trains during the line's Easter Steam Gala. The 140 year old loco was visiting from the Buckinghamshire Railway Centre, and was the star attraction at the gala. The 0298 Class were built by the London & South Western Railway for London suburban passenger services. 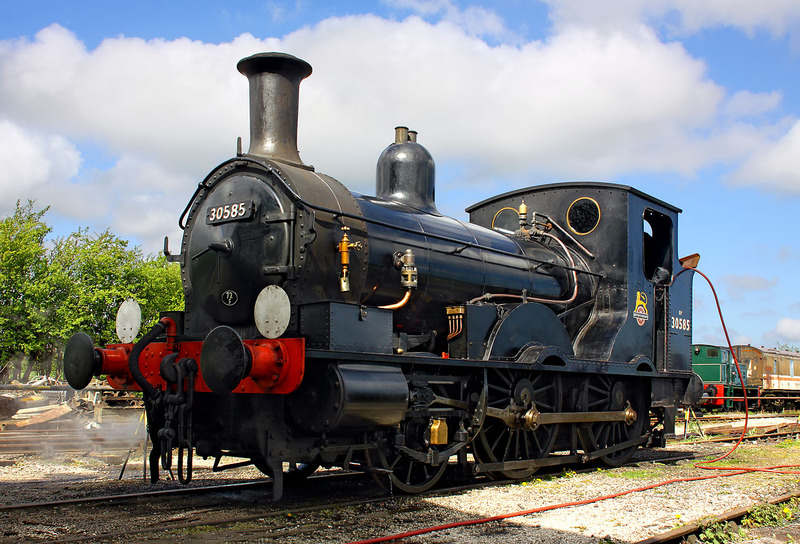 Superceded by more powerful locos in the 1890s, all but three of the original 85 locos had been withdrawn by the end of the nineteenth century. Remarkably these three soldiered on working trains on the Wenford Bridge line in Cornwall until 1962!